I don’t know about all of you, but I just love used bookstores! You just never know what you might come across. When I happened on this particular book, I was thrilled. 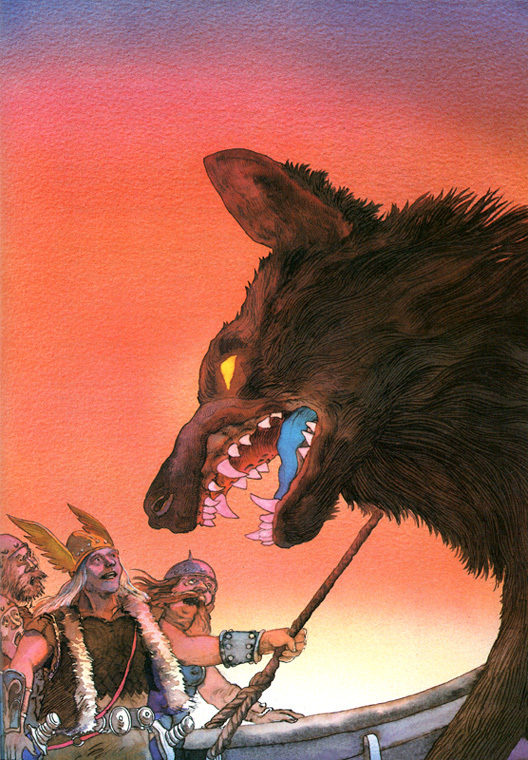 Not only were we about to start a home-school unit on Norse Mythology, but the artwork was absolutely amazing! There is another reason I was so excited about this discovery. My two boys have never really been big on picture books. Sure, we read lots of them when they were little. 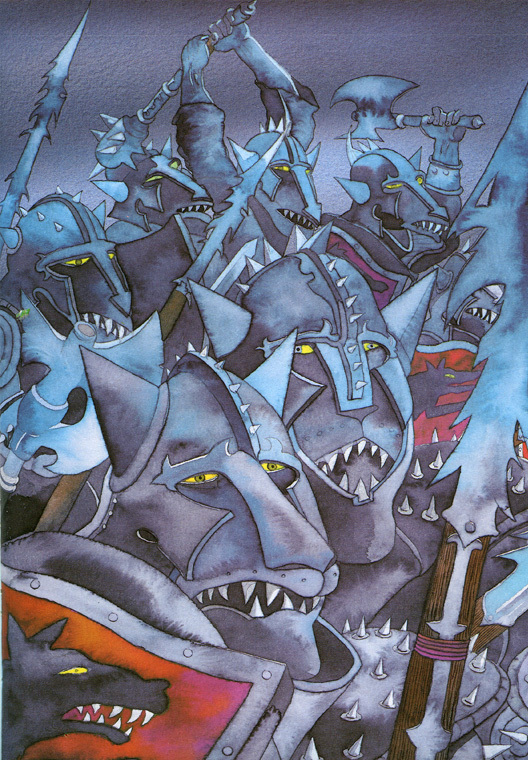 Our collection is huge, and widely varied in the illustration and writing styles. We had classics, award winners and little known gems. However, they never really LOVED any of them. Then, as soon as my oldest discovered chapter books, picture books quickly became “baby-ish” and were forgotten. Little brother picked up on this attitude despite all my protests, and the massive collection of picture books began gathering a nice layer of dust. THIS book though was different. THIS book would surely draw them back into the world of art and words combined, at least for a little bit. THIS book was not baby-ish. 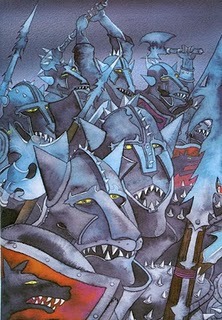 THIS book was dark, full of adventure, swords and monsters. AND it was a chapter book. 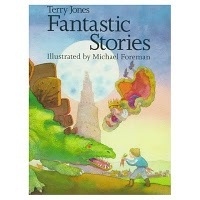 With gorgeous illustrations on nearly every page. 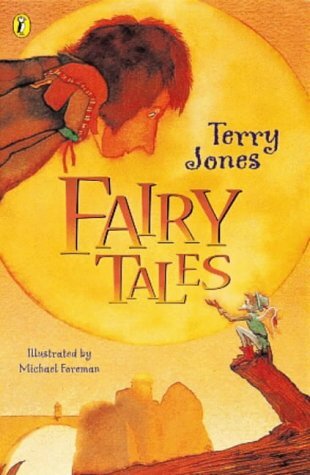 We read this book out loud, first to the younger (about 6 at the time), but it slowly drew the older in (about 9). We ended up having to start over so he could hear it too. Every night we read a chapter (or a bit less, never more). We read about sea monsters, dragons and enchanted places. We read about catastrophes and courage, with a little bit of comedy thrown in (Did I mention it is written by Terry Jones? Of Monty Python fame?). We read about Erik the Viking, his men, his ship the Golden Dragon, and their search for the land where the sun goes at night. As we read, we absorbed the illustrations. The washes of color setting the mood so well, the inky lines fleshing out the details. We spent many afternoons with our own watercolors, trying out such bold and glowing strokes. This was the first time my oldest was really excited to do watercolor painting, usually he preferred a more opaque medium. He was inspired by this book though, and really enjoyed these painting sessions. I won’t go into much detail on the plot of the book. The main theme is “the search for the land where the sun goes at night,” and each of the 27 chapters is its own little saga. It is a wonderful book that helped bridge the gap between picture books and chapter books for us. My children came to realize that picture books are not just for babies and that you shouldn’t judge a book by its format. 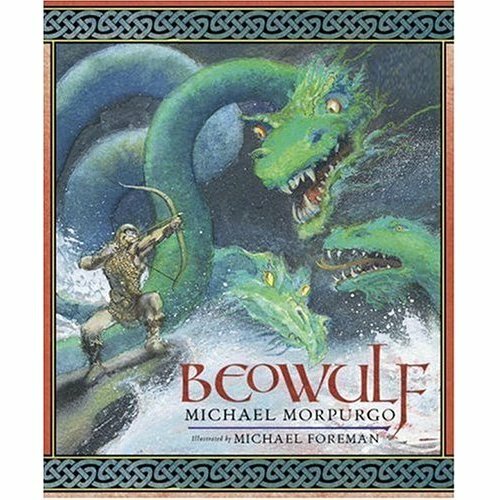 It was a wonderful book to read aloud at night, and I often imagined a Norse family sitting around the hearth telling these stories to their children. Having said that, it is not a book for everybody. Young children may not welcome the dark and often monstrous illustrations, and there is a lot of fighting, death and even some gore (all the more reason my two boys enjoyed it!). In addition, the language is quite complex and small children may not sit still for it. The Saga of Erik the Viking may be a difficult one to find, as it goes in and out of print. Those in the UK might have an easier time finding it! Used copies are usually to be found quite easily online and often at a very good price! 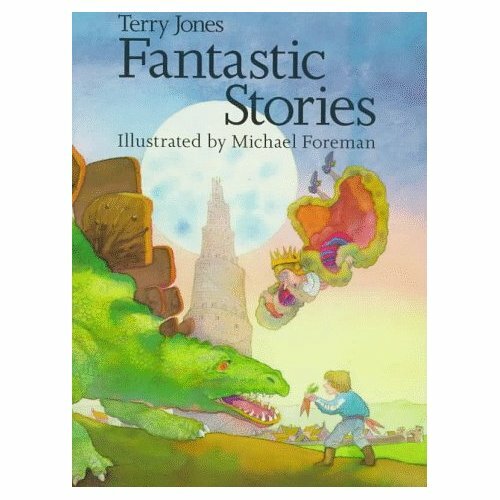 Another great find by Terry Jones & Michael Foreman is Fairy Tales and Fantastic Stories. It is really two books (Fairy Tales and Fantastic Stories) and may also be difficult to find, but totally worth it! It is more suitable for the younger crowd, with silly stories and much brighter and lighter (but still beautiful) illustrations, but shouldn’t be limited to just the little ones! Big kids can appreciate the stories as well! 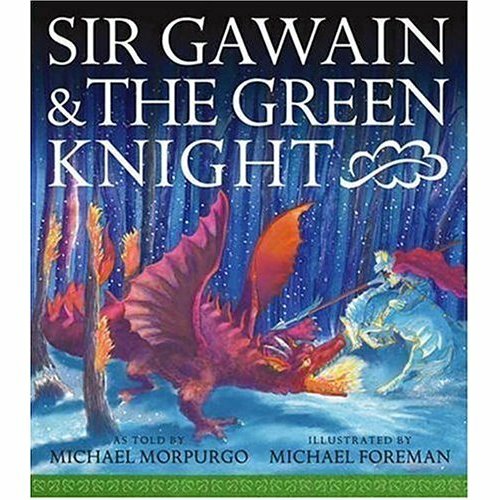 Illustrator Michael Foreman has also paired up with author Michael Morpurgo in two titles similar to The Saga of Erik the Viking. 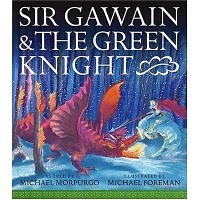 In Sir Gawain and the Green Knight, a medieval tale is retold with knights, dragons and humor. 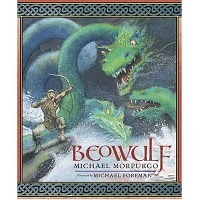 Beowulf is the epic tale of the monster Grendel, a “merciless murderous ogre” and the brave warrior Beowulf. Both books are well suited to kids at about the fourth grade and up, although younger kids may enjoy them too, especially if they enjoy great fight scenes or monsters! 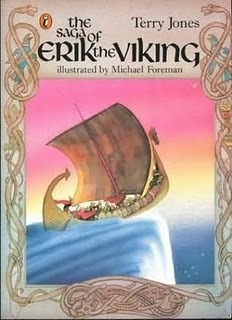 The Saga of Erik the Viking is still our favorite though! Awesome book review! I must go search for these books! Thank you! Great review and toy items for reference! I love used bookstores, too. They are full of books with stories worth reading. And I guess the old stories are more interesting than those new ones. Great review.